It’s well-known among Iron Maiden’s legion of fans that the band’s vocalist, Bruce Dickinson spent the early years of his life in Sheffield and has close ties with the city. 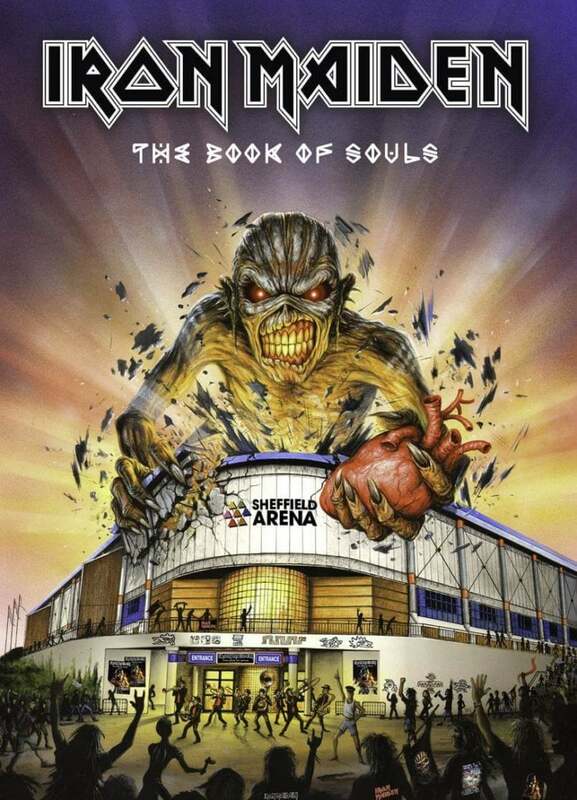 For Maiden’s upcoming ‘The Book Of Souls’ UK Tour show at Sheffield Arena on May 10th a very special artwork has been commissioned to celebrate this fact. The art features their infamous mascot Eddie making his mark on the Arena and includes references to Sheffield’s movie heritage in the form of ‘The Full Monty’ and ‘Brassed Off’. It was created by longstanding Maiden artist Herve Monjeaud who over the years has created unique designs for Maiden events right around the globe, from Australia to Brazil, Scandinavia and now Sheffield! Iron Maiden return to Sheffield Arena on the 10th of May. For tickets click here.